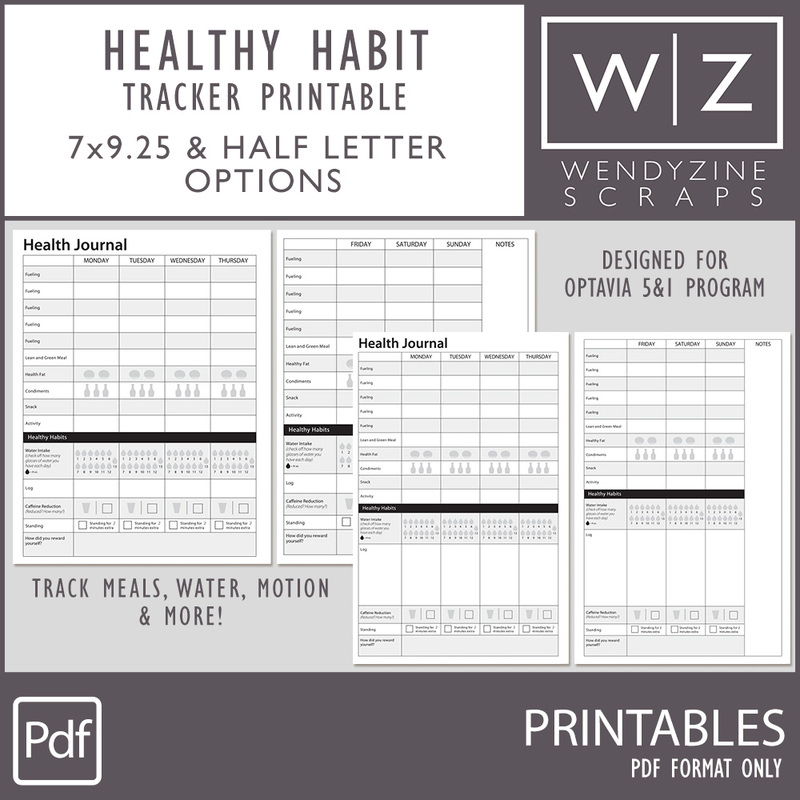 Designed especially for those on the Optavia Health & Wellness program, this printable tracking sheet allows you to track your healthy habits beyond the 30 days that came in your initial guide. Track fuelings, lean & green, condiments, water, motion and much more! PDF FORMAT. Personal use only. If you would like a custom tracker, or a tracker for a different wellness plan, please contact me. I am also a certified health coach with Optavia. If you would like more information on this amazing program, email me! I'd be happy to do a free health assessment!